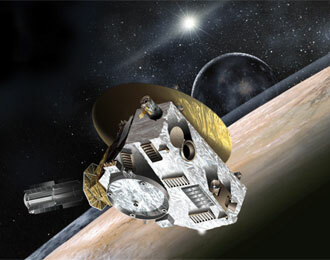 On New Year's Day NASA's New Horizons spacecraft will intercept the most distant and ancient space object yet. The spacecraft's will perform a flyby of Ultima Thule. Discovered on June 26, 2014, Ultima Thule is a trans-Neptunian object located in the Kuiper belt. It is elongated in shape, possibly a contact binary or close binary system, with an estimated diameter of 30 km. New Horizons made its first detection of Ultima Thule on 16 August 2018, from a distance of 172 million km. If the mission is successful, it will be the farthest object in the Solar System ever to be visited by a spacecraft.